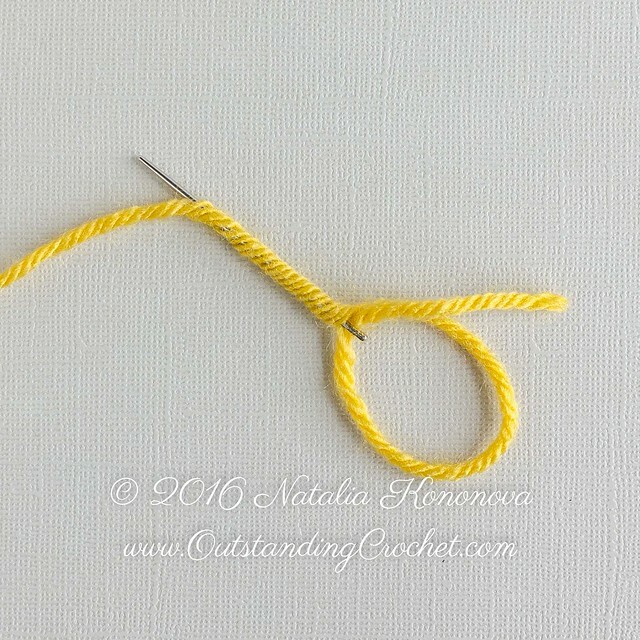 Outstanding Crochet: Free Crochet Tutorial - Join Yarn without Tying a Knot. 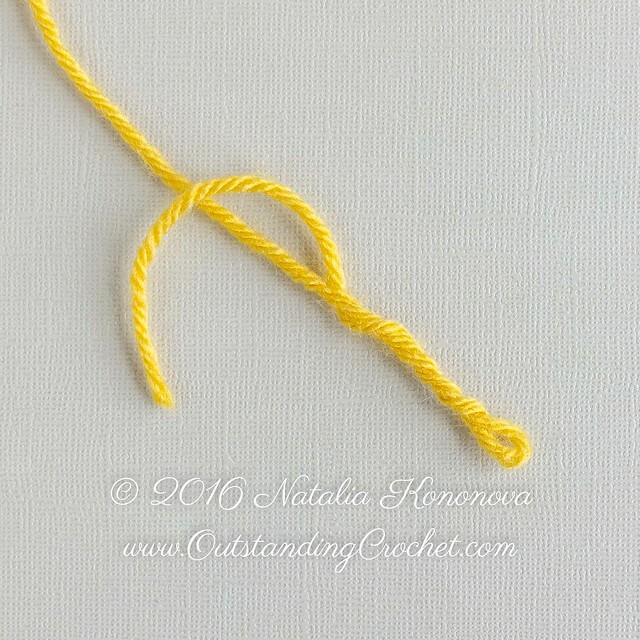 Free Crochet Tutorial - Join Yarn without Tying a Knot. Knots are annoying and should be avoided as much as possible in your beautiful outstanding work. It's the most neat way to join yarn I know, besides felting ends, which works only for natural fibers like wool. Follow me by e-mail (right upper corner), Facebook or Twitter (top of the page) to never miss a tutorial like this one or new pattern announcement! 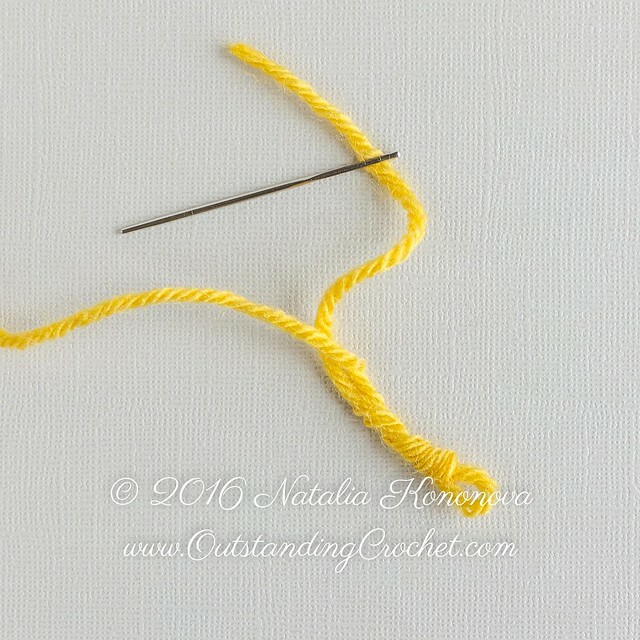 Follow my Pinterest boards to see all crochet findings out there! 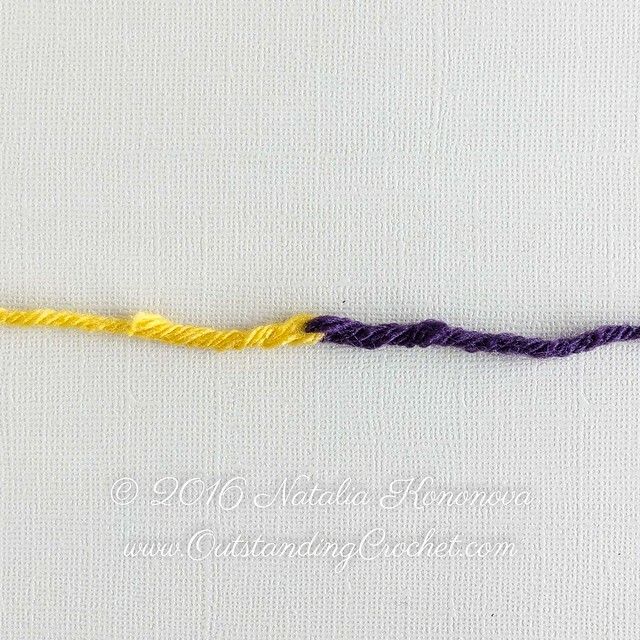 Joining Yarn without Tying a Knot. It also called Russian Join. Shown here in 2 different colors for better visibility. 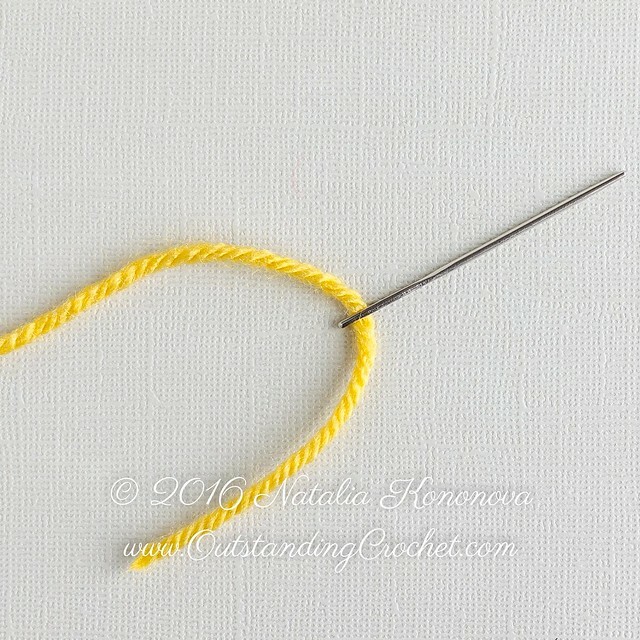 Thread tapestry needle with yarn. 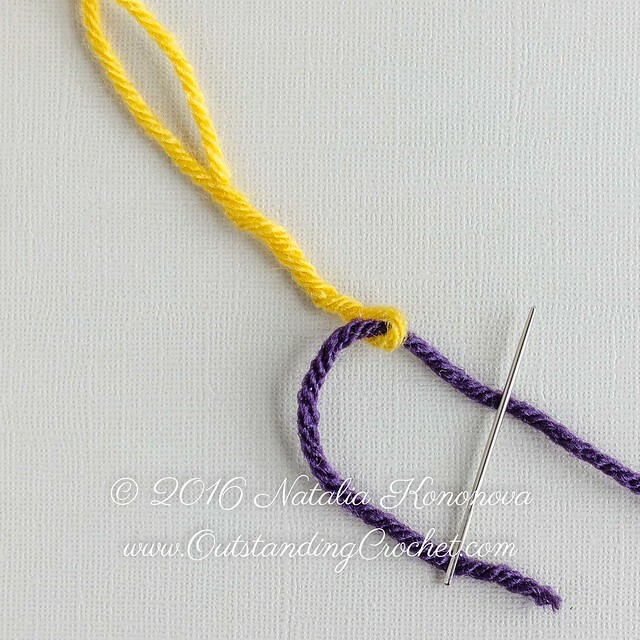 Insert tapestry needle in yarn about 3'' (8 cm) from the end. Untwist yarn a little bit and work needle through yarn for about 2'' (5 cm). 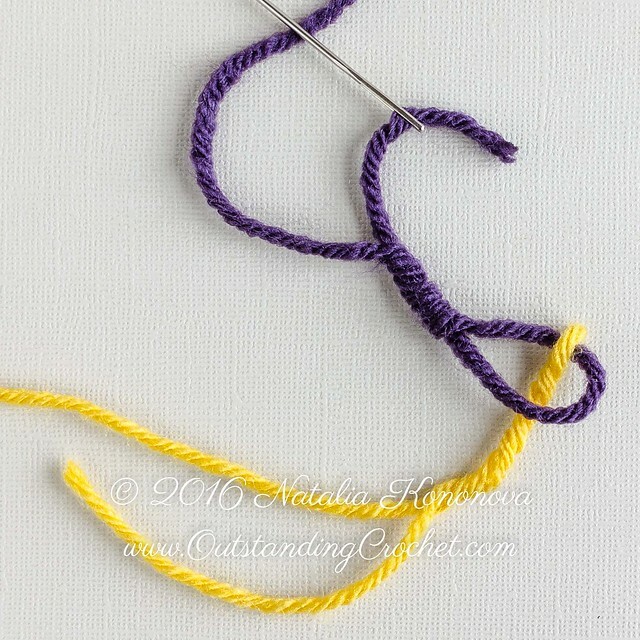 Straighten the yarn, but make sure loop is not pulled in. 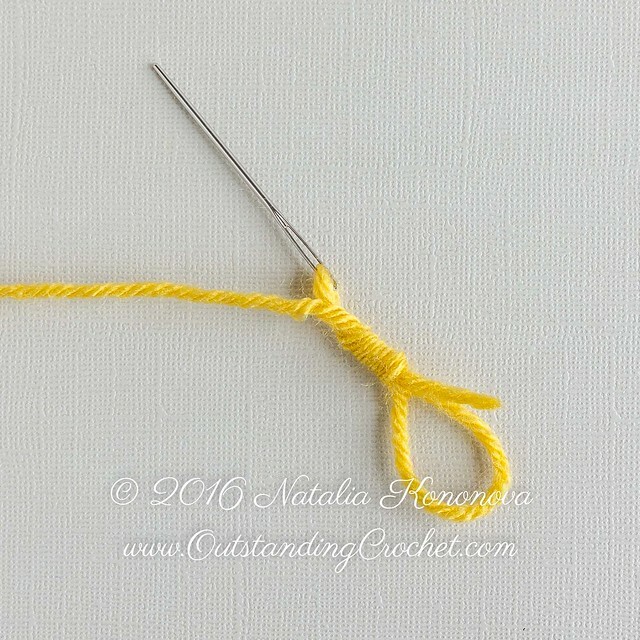 Thread tapestry needle with another yarn you wish to join. 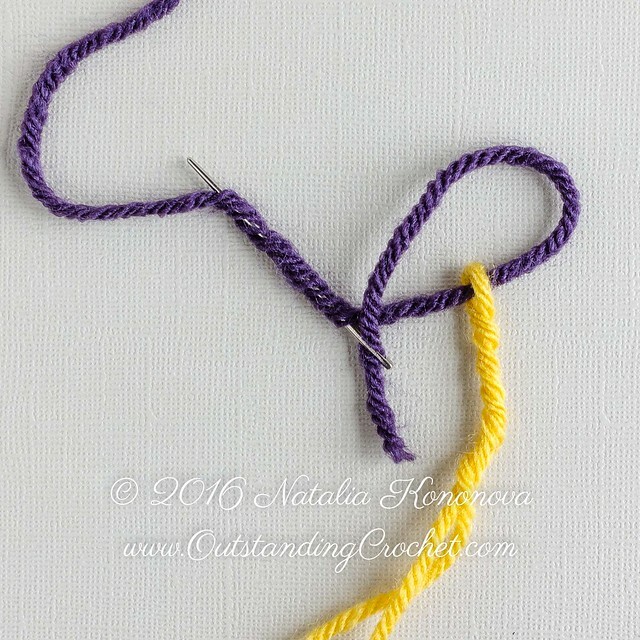 Draw yarn through the loop. 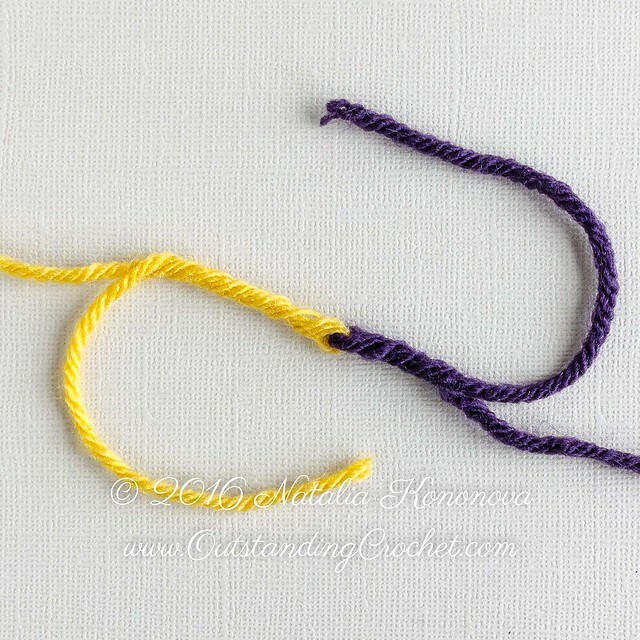 Pull loose ends in the opposite direction, tightening the loops at the ends and straightening yarn. obrigada por ensinar sem dar nó! Todos os seus trabalhos são muito bonitos flor!